"A former FedEx champion, Snedeker is now both well-placed and in-form ahead of the lucrative play-off series that begins this week at Ridgewood." After 11, often injury-plagued, years as a pro and making his 200th European Tour start, Paul Waring finally broke his duck at the Nordea Masters. A [210.0] chance pre-tournament, the Englishman shared the lead from halfway and prevailed after Thomas Aiken found the water with his drive on their first play-off hole. 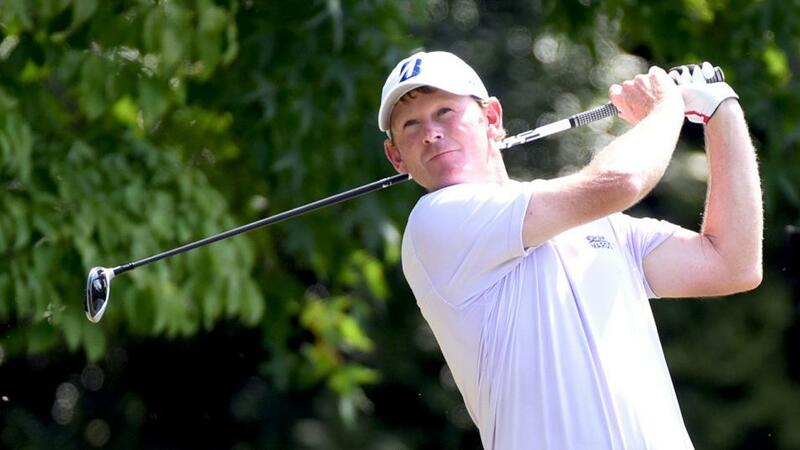 In the USA, Brandt Snedeker won his ninth PGA Tour title at the Wyndham Championship. It was the second time he'd won this event and landed a popular gamble as the 37 year-old was a well-fancied [32.0] chance. This was a particularly timely victory for Snedeker - a class act who has suffered injury woes and been somewhat left behind by the latest generation of bombers. It was his first title in more than two years and moves him up from 80th place on the FedEx Cup list into the top-30. A former FedEx champion, he is now both well-placed and in-form ahead of the lucrative play-off series that begins this week at Ridgewood. Both events ultimately boiled down to a match. Although the third player was only beaten by one stroke, neither Waring or Aiken were seriously challenged and swapped favouritism all weekend. Aiken briefly went odds-on, hitting a low of [1.69] before Waring took control, trading down to [1.1]. However, there was a twist in the tale as Aiken set up a play-off with a closing birdie. Snedeker had the tournament at his mercy throughout after a brilliant opening 59 and won by three strokes from C.T. Pan and Webb Simpson, although it wasn't as straightforward as the margin suggests. Pan was matched down to [1.47] at one stage as they traded blows down the back-nine before a closing double-bogey ruined his chance. Well, that was a very frustrating finish. In both events, my plan was to take on the leaders by trying to lay everyone in contention. Naturally when both halfway leaders go on to win, such a plan is going to be problematic. I lost 12.35 units at the Nordea, after laying Waring three times and Aiken twice. At the Wyndham, I lost 3.3 units, after laying Snedeker twice and Pan once. Most frustratingly, Pan came agonisingly close to hitting the [1.4] lay target that would have clawed back seven units and assured a profit on the event. For such plans to work, you need a third player to get into contention and that is usually not asking all that much. There were plenty close enough if good enough, but none came through. That said, no regrets are in order. Generally speaking, you won't go too far wrong laying 36 and 54 hole leaders who have never won in 11 years as a professional. As for Snedeker, it is never easy to win a low-scoring event from the front and he was always at least worth considering taking on at short odds. In another week, they both fall away quickly and others are laid quickly, setting up an easy profit. In many respects, the Wyndham result was in keeping with past renewals. A predictable former champion won, while the weekend leaderboard included numerous FedEx Cup bubble boys, who ultimately came up short. The players tied fourth - Jim Furyk and D.A. Points - begun the week in 171st and 214th place respectively. Eighth placed Nick Taylor was 129th going in, while Harris English (132nd) was in contention for a long way. There is probably more advantage to be gained from analysing our first sighting of Hills G.C. - which will host the Nordea Masters again in 2019. The way the weekend panned out may lead many to conclude that this is a front-runners' track but, in fact, I reckon the reverse is true. Among the rest of the field, there were some pretty wild fluctuations. For example, three of the group that finished sixth - Andrea Pavan, Robert Rock, and Haydn Porteous - were 39th, 53rd and 97th respectively after round one. As for the main contenders, Waring and Aiken were four back in eighth after round one, while Olesen and Kieffer were six back in 29th. Evidently a fast start is not essential and note how earlier leaders Clement Sordet and Scott Jamieson fell away - the latter finishing 42nd despite sharing a two-shot lead at halfway. Waring won it on the par-threes, shooting two shots better than anyone else and eight better than Aiken. Par-four performance may be a better guide for next year though, as all of the top-five were ranked ninth or better. The rest of the stats are a mixed bag, with only greens in regulation standing out. All of the top-three were ranked 12th or better, although that would often be the case with this stat. Interestingly driving distance seemed irrelevant despite soft conditions, with Aiken and Kieffer both ranking outside the top-60. If drier next year, focusing on accuracy stats could be the way forward. We've got two events to look forward to this week. The Czech Masters on the European Tour plus the first FedEx play-off, The Northern Trust. Steve will be back with previews of both tomorrow.